Sue Marsdon is a local artist, chair caner, mail artist and friend who has stayed in or house to look after Lyra when we've been away in the summer. 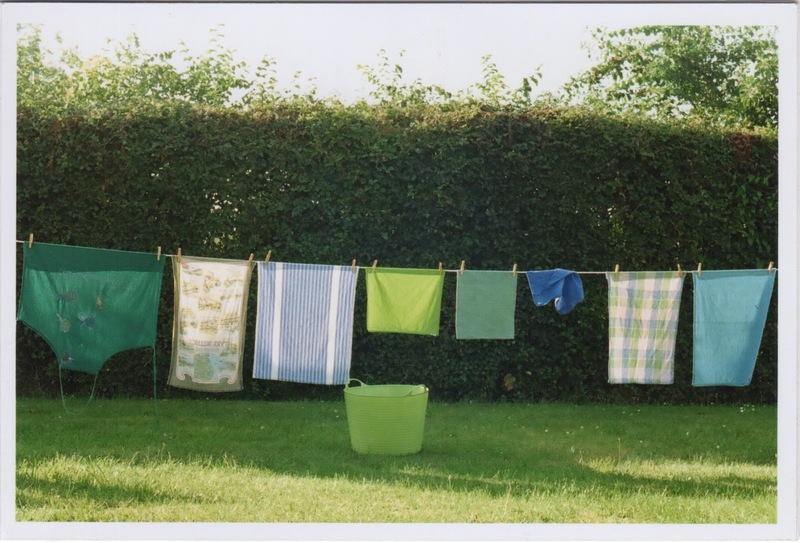 This was Sue's Christmas card to me, a beautifully composed photo of some of my stuff, used and washed by Sue then hung in an aesthetic line. It makes me want to run outside with my shoes off. Unfortunately that might result in frost bite, so I will blog instead.